The monuments of India so inspired Padma Kaimal (art history) as a college student that ancient stone temples and architecture in south India became the locus of her career. 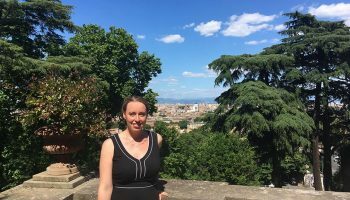 Beyond her research and family visits, she’s led Colgate Benton Scholars as well as professors on educational travel throughout the country. So whether you wish to delve deeply into India’s art and architecture, or learn how best to experience its tried-and-true tourist spots, Kaimal has tips galore. 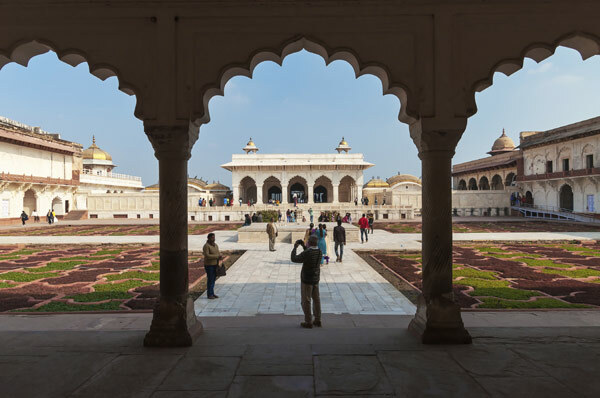 This is the first tour most people get talked into: from Delhi to Agra to Jaipur. It’s easy to do and worth going. Taj Mahal tips: Don’t miss: On the way from Agra to Jaipur, visit Keoladeo National Park, which has amazing birds and fascinating mammals like sambar and jackals. Go at sunrise and sunset — that’s when all the action is happening. You can hire a bicycle rickshaw driver or rent a bike. Stay nearby at The Bagh, a heritage hotel on a royal country estate. Also, stop in Ajmer, where the kings lived before they built Jaipur. 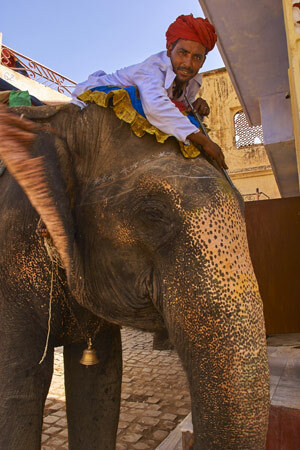 You can walk around the fort, and ride an elephant if you like. Jaipur gems: Behind Amber fortress, there’s the Anokhi Museum of Hand Printing, built in a revived old mansion. Their gift shop is filled with scarves and all kinds of woodwork and stationery. The Jantar Mantar astronomical garden is picturesque. The Royal Palace Museum has beautiful bronzes. Brihadeeswarar Temple is lovely. Bring cheap socks to wear or you will burn your feet. You have to take your shoes off, and by late morning, the pavement is blazing hot. Stay: Parisutham Hotel, an Indian-style hotel, is welcoming to foreigners. Local fare: Thali comes on a tray with little cups, each with a different vegetable curry. You start with poori (fried bread) and they give you rice to mix with the curries. Although in the north you drink tea, in the south, drink coffee. They make it with water buffalo milk, and usually with sugar, and it is amazing. The ancient Pallava heritage site south of Chennai is where I do most of my research. Scenic, beautiful, relaxing. My first article was on the cliff covered in narrative relief. Climb up the hill to the lighthouse; leading up to it, there are gorgeous rock-cut cave temples with sculpture inside that tell stories, like Krishna rescuing his cowherds and their cattle. Stay: There are luxurious hotels, and also simple guest houses where hippies and hitchhikers stay for cheap. The southwest coast is a beautiful part of the country: green, lush, with coconut trees and canals. My family lives near Kochi. It’s very touristy, but worth it. 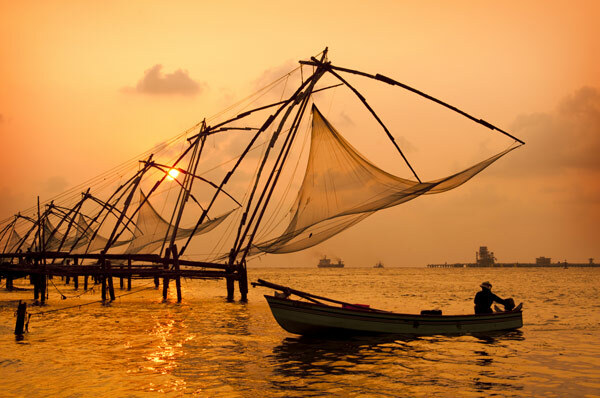 The old town is lovely for walking around, with lots to see like Christian churches, docks with cool Chinese fishing nets [see photo at top], and the Mattancherry Palace. The ancient Paradesi Synagogue and graveyard are right next to it. Keep in mind: When booking a trip to Kochi, a town in Japan has the same name! Also, don’t get sucked into long backwater boat tours; they are only great for about an hour. What to pack: Mosquito-repellent wipes, a hat (whatever works with your camera), completely sealed snacks. 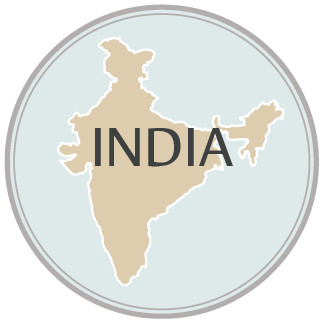 What to buy (or not): As soon as you arrive, go to a Fab India store (there are dozens around the country) and buy loose, thin cotton clothing that covers your arms and legs. It’s affordable and can be readily laundered at every hotel. The people who work there will show you how to put together an outfit that suits you. People appreciate it when you wear those clothes, and Fab India is a charitable organization that helps street kids. Don’t buy anything old: it’s illegal to export cultural property. Buy new art, from living artists! The great-grandfather of Morgan Davies (English) immigrated to the United States from Wales in 1870. Davies’s father grew up in a Welsh neighborhood in Pennsylvania and his pride in his heritage sparked his son’s interest in the country. In his studies of later Medieval Welsh literature, Davies finds that it centrally connects with the country’s landscape and native tongue. (He focuses on the Welsh poets of the gentry, as well as pre-Norman Irish narrative literature and sagas.) 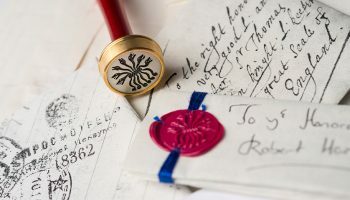 He has visited Wales nine times, including leading Colgate study groups, and while researching, he pores over aged manuscripts in the Welsh National Library in Aberystwyth. Why go: It’s a beautiful landscape — heart catching sometimes, and the historical antiquities are wonderful. You’ll get an appreciation for a small culture and begin to understand its resilience and richness. How to experience it: Early Welsh and Irish literature is very rooted in particular landscapes. 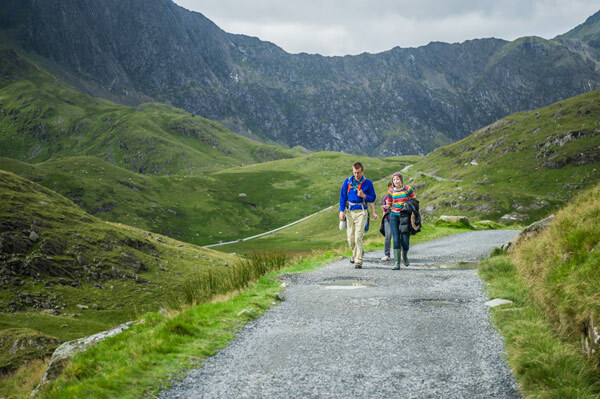 How well you understand the literature makes a difference in how you can experience the Welsh landscape. In Welsh poetry and prose, there is a kind of exaltation of freedom that writers feel, which is framed by the landscape. 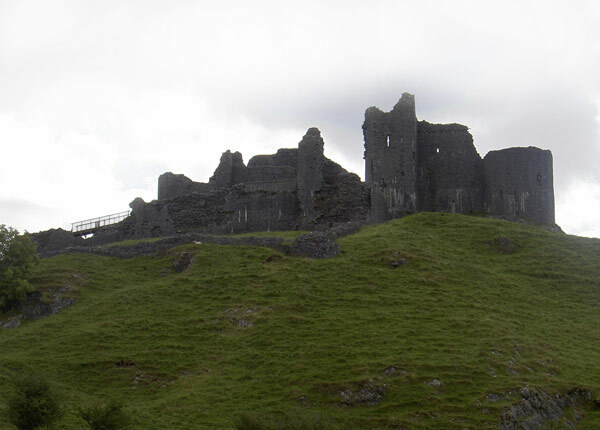 In Llandeilo, visit Carreg Cennen castle, the most dramatically situated castle in Wales. It’s easy to get to, and you get spectacular views, east to the Black mountains and west to Tywi Valley. You can also stop and see Dinefwr Castle. You can fish in the River Tywi and hike to see all the lakes in the Black Mountains in Brecon Beacons National Park. Nearby is the Penderyn Distillery and the regimental museum for the South Wales Borderers. Snowdonia is a region and national park [see photo above]. It’s small enough that if you had a couple days, you could see a lot of it. It’s magnificent — an incredible landscape, especially the northern area. I would recommend, under good weather conditions, climbing Mount Snowdon. It’s 3,560 feet high and the tallest peak in the British Isles, outside of Scotland and any peak in Ireland. The Llanberis path is a good option because it’s the easier one, clearly laid out and easy to stay on. The hike is 9 miles round-trip; it would help to be generally in good physical shape. The views from the top on a clear day are incredible. North Pembrokeshire. There are a lot of places to see in this region. You can visit St. Davids and see a beautiful cathedral, St. Non’s Chapel, and the Bishop’s Palace. It’s on the ocean and there are trails along the cliffs. The Pembrokeshire Coast Path takes up a lot of the Pembrokeshire coast. In good weather, try sea kayaking. The Preseli Mountains are good for hiking. Legend (unfortunately, recently debunked) has it that when the French were about to invade nearby Fishguard Harbour, they mistook women in traditional red Welsh attire for British soldiers and so decided not to land there. Visit prehistoric sites including Bryn Celli Ddu, Pentre Ifan, and other burial and passage tombs. 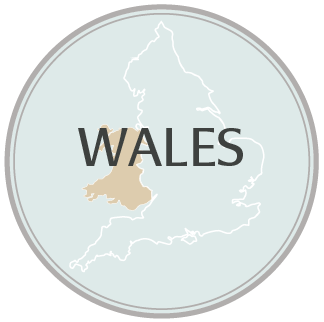 Local fare: Eat some Welsh salt marsh lamb, steak, Welsh cheeses, Welsh cakes (made with butter, not shortening), shellfish including cockles, and other locally produced food. Getting around: The best way to get around Wales is by car; public transportation leaves a fair amount of Wales underserved. Act like a local: Although English is the first language for most people in Wales, in quite a few areas, Welsh is the language a lot of people live. The Welsh language is not a window dressing, and it is not superficial for the benefit of tourists. People have great pride in it. Make an effort to speak the language and the locals will be receptive. Emilio Spadola (anthropology) first visited “magical”Morocco on a solo adventure in 1992. Six years later, he returned in pursuit of his doctorate in anthropology. Next fall, he will live there again for six months with his wife and children. Recently, he traveled with other professors to scout out potential study-abroad programs for Colgate students and continued his research on Sufism — the mystical field of Islam that centers on closeness to God and purity — in modern areas of Morocco, particularly Fes. 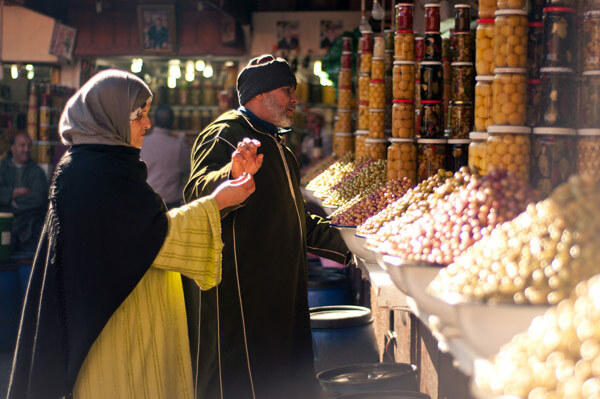 How to experience it: Seeing this country is one thing, but what’s great about Morocco is doing more than just seeing, it’s, ‘How can I get to know and integrate into one place, even in a short time?’ I recommend spending longer periods in one or two places rather than dashing around. 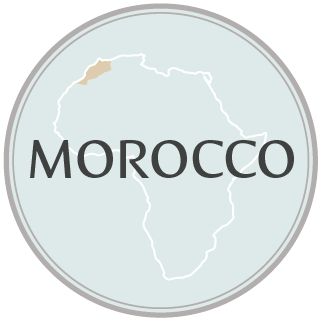 For some people, Morocco is less appealing in the kind of tourism where you have to “see” places. When people love it, they love that they have experienced the country and have gotten to know shop owners along a street they walked every day for a week. Going to Morocco is about getting to know people, being open minded, and being able to meet people with the same open heart that they meet you. You absolutely must go to Fes, and stay in a “Riad,” an elegant mansion in the old city (Medina). Walk around and get lost in the Medina. It’s unlike any place on earth. It’s an architecturally, structurally preserved medieval city. It is connected with the world via Wi-Fi, but it was physically built in the pre-colonial manner. It’s a labyrinth. 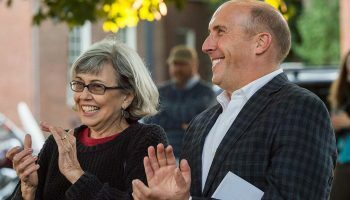 The way the streets are narrow and small, and the fact that it’s a walking city — for the most part with no cars — means that it fosters interactions between people that are really special. 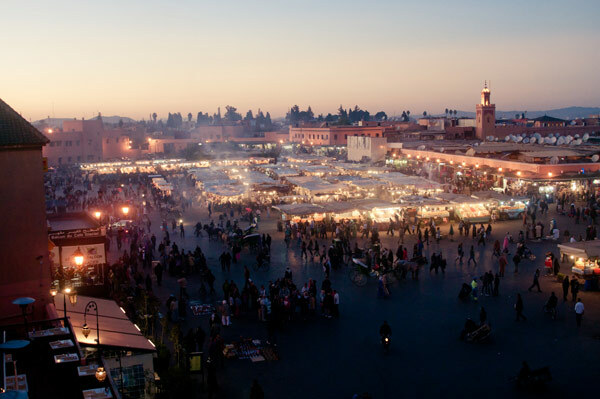 Marrakech is what we think about for typical tourist luxury. It’s called the “Red City,” and you see these landscapes like the white peaks of the High Atlas mountains, palm trees, and red city walls all at once. This is the place to soak in the atmosphere of a city that is very cosmopolitan. If you want to stay at a luxury hotel, drink cocktails, and play golf, Marrakech is your place. This city has the Jemaa el-Fnaa (nighttime circus) that has snake charmers, storytellers, acrobats, and many food stands. It has a Thousand and One Nights quality to it. Chefchaouen is an idyllic, small city/large village, and it lends a mellow vibe. It’s sometimes called the “blue city.” It has a combination of Spanish and pre-colonial architecture and it’s also in the mountains. It’s stunningly gorgeous. This is a good city for walking around, talking to people, hiking, drinking tea, shopping, and seeing a soccer game. Don’t miss the public bath, or spa, called a hammam. Accept people’s generosity and return it, and you’ll be welcomed as a friend. Act like a local: Tourists act afraid to get ripped off. Instead, encounter people with a lack of suspicion. Be willing to spend a little money, and give generously to get the warmest experience. It’s a give and take. Accept people’s generosity and return it, and you’ll be welcomed as a friend. Good eats: Make sure to get Friday couscous in Fes, fresh-squeezed orange juice in Marrakech, and an avocado milkshake in Chefchaouen. Don’t miss: Head to “the door to the desert,” Ouarzazate, to go for a camel ride. 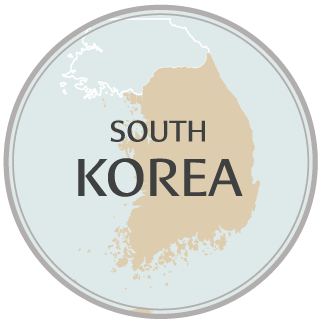 John Palmer (educational studies) grew up in small-town Iowa, but his roots in South Korea run deep. Adopted as a baby, Palmer first visited his homeland in 1991 and has been returning almost every year since, including graduate school at Yonsei University. Co-editor of a book on globalization and internationalization of East Asian universities, now he’s studying how the vast numbers of North Koreans resettling in South Korea have changed the schools. He’s led trips for Colgate’s study group, the Benton Scholars, and other professors. On one of those trips, in 2004, he met his wife, Woolim Cho. Her parents still live in Seoul, and the couple is raising their three sons to be bilingual/bicultural. I consider this the central part of Seoul. 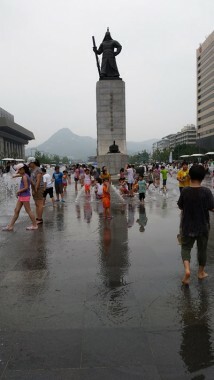 In between is city hall and the statues of Admiral Lee Sun-shin and King Kojong. Visit the palaces: Kyongbokkung, Changdeokgung, Deoksugung. Insadong Street sells antiques, has tea shops; Namdaemun Market is an old-style outdoor market; and Cheonggyecheon is a nice walk. Local fare: Restaurants in Seoul mostly serve one specialty (if it’s a meat restaurant, they only serve meat as the main dish). You find your favorite restaurants by the quality of the side dishes. There’s wide variety of soups. There are hundreds of kinds of kimchi. Most foreigners enjoy bibimbap (rice with vegetables, beef or pork, and fried egg on top). Colgate students like Dakgalbi (stir-fried spicy chicken), Samgyetang (chicken soup), Pajeon/Bindaeduk (pancake with vegetables and/or seafood), ChiMaek (fried chicken and beer). Soju is the national drink. Be careful; it is has a higher alcohol content than most wines. Getaway: residential/long-term hotels. You get a kitchenette, and they’re always a little bigger. They are cheaper because they’re away from the glitz of the city. The Benton Scholars stayed at Fraser Place Central. There is also Somerset and Fraser Place Namdaemun in the same location. In the heart of the city: Hotel Lotte is the top choice, followed by Hilton Namdaemun. If you like luxury, look for the major international hotels (Marriott, Hyatt). There are boutique hotels rising up throughout Seoul (Hotel Aventree); they tend to be a bit smaller and have fewer amenities, but are less expensive. Traditional: some people have maintained the traditional-style Korean houses (with rice paper windows) and upgraded them. You can have a room with a shared bathroom. Find them through the Korean Tourist Organization. Be aware of: the hustle and bustle. There’s no “right” side of the road while walking — you’re weaving, bobbing. People are more conscious about bumping into you (these days), but older people can push hard. Subway civility: The subways are quiet, clean. It is not good etiquette to bring food or drink, and no loud talking. More than 500 years old, it has the old style of living. 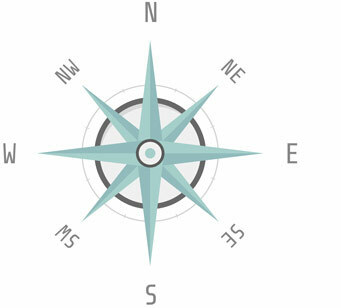 If you are adventurous, locate a house that hosts overnight guests. They do a traditional outdoor play there as well. You must locate a tour guide because it is difficult to find transportation. Take a cable car to the top of Seorak Mountain, watch the sunrise over the East Sea, and visit Naksansa, a famous Buddhist temple on the seaside. Eat fresh fish from the market — there are tanks, you point at the fish you want, and they chop it right there and put it on your table raw. To get there: Trains, buses. Once there, you can taxi pretty much everywhere. 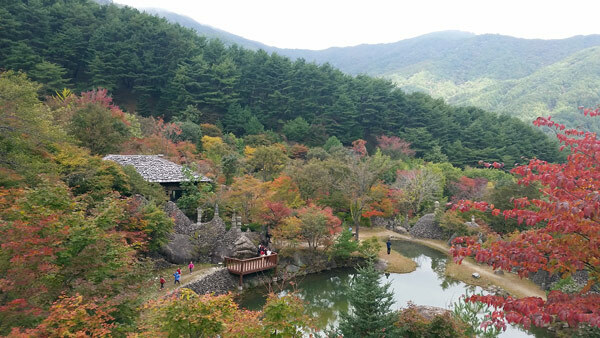 If you have time: Gyeongju City, the ancient capital of the Shilla Dynasty. Visit the many historical sites (burial mounds, museums) and dine with a local family. Climate: It’s the same latitude as New York. You can swim in the ocean in the summertime — it’s beautiful, clean. It can get snowy in the wintertime. There are nice ski resorts throughout Seoul. They’re having the  winter Olympics in PyeongChang. Don’t go: June through August — the rainy, hot, muggy season. Fall and winter can be absolutely beautiful. Buy: Green-tea sets with the tea pot and cups. They’re beautifully designed. You can get those in Insadong (a neighborhood in Seoul). They also have bookmarks that are made in traditional designs, as well as letter openers and business card holders. 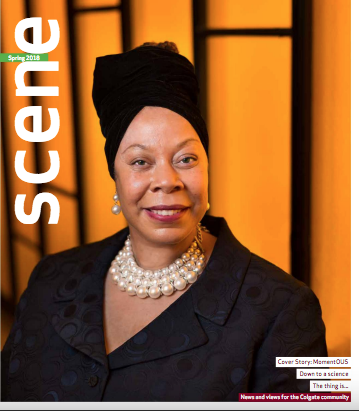 Born in southern Trinidad, April Baptiste (environmental studies) casts her research net studying the fishermen and women of the island states of the Caribbean, particularly her homeland and Jamaica. She examines their attitudes, concerns, knowledge, and behaviors toward environmental problems. 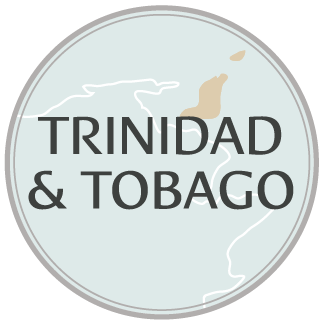 The self-described “Trini” suggests three themes for experiencing her country of two quite different islands: cultural, natural, and relaxation. 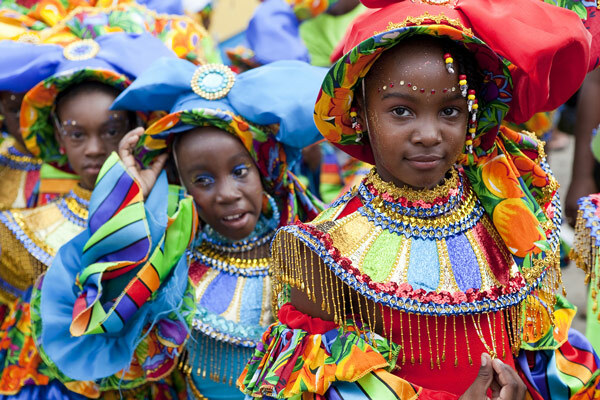 If you are interested in Trinidad and Tobago’s culture, consider two seasons when you can attend festivities. Christmas is big in the Caribbean, especially in Trinidad and Tobago. We get the mixture of Christian traditions along with our indigenous and cultural heritage, such as parang, a type of music, often in Spanish. There are many fascinating places to go on both islands, from waterfalls to nature preserves. The La Brea Pitch Lake is the world’s largest naturally producing asphalt lake. It’s in the south, which is not the touristy part of the country. If you go, I recommend a local guide and a private taxi; ask at your hotel. Stop at the Temple in the Sea and the 85-foot statue of Lord Hanuman at the Dattatreya Yoga Center in Waterloo. You’ll also want to do an ecotour at Caroni Swamp at dusk. It’s the home of one of our national birds, the scarlet Ibis, a daily migratory bird. In the morning, they fly to Venezuela (it’s only about a 10-mile flight), then fly back to spend the night in Trinidad. It’s a magnificent sight — a mass of red coming toward the swamp. The best beaches are on Tobago. For good marine excursions, Buccoo Reef on the southern part is the second-largest barrier reef in the Caribbean. You take a boat to get there, and you can get out and swim in the Nylon Pool, a shallow pool in the middle of the ocean. Speyside Reef has the largest brain coral in the world and deep water that’s good for diving. 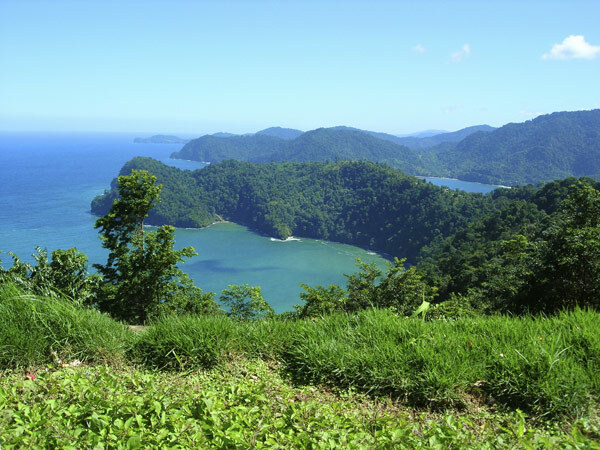 For a nice beach in Trinidad, go to Maracas Bay or Las Cuevas Bay on the northern coast. Where to stay, getting around: In Trinidad, it is best to stay in Port of Spain, at a familiar hotel like a Hyatt or Marriott Courtyard. It’s a big, bustling city and you can do lots of things; once you get your bearings, it’s easily walkable. Tobago has the resorts, as well as villas for short-term rent. You can rent a vehicle if you want to explore. Bear in mind: we drive on the opposite side of the road! Good eats: You’ll find callaloo (dasheen bush leaves, okra, pumpkin, carrots, pigs’ tails or crab, steamed in coconut milk) and pelau (rice and peas, sometimes with chicken) on both islands. In Trinidad, try roti and curry. Eating bake (flatbread) and shark is part of the beach experience; Maracas Bay has the best. At Christmastime, you should try pastel (sweet, boiled dish of corn meal, meats, and raisins) and black cake (made with fruits soaked in alcohol). To drink, there’s sorrel (red fruit punch), or punch à créme (rum, condensed milk, egg). In Tobago, you must try curried crab and dumplings. For street food, try doubles (curried chickpeas in flatbread) and aloo (potato) pie. Buy: A replica of a steel pan. Touted as the only instrument developed in the 21st century, it was developed in Trinidad. Pack: Swimsuit, sunblock, reusable party cup, and a sense of humor! 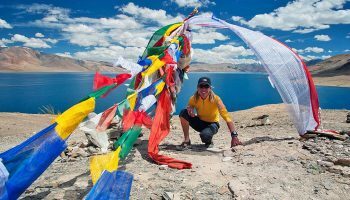 Traveling around the Southern Cone on skis, the backs of trucks, and her own two feet, Maureen Hays-Mitchell (geography) has 30 years of fieldwork under her belt, specializing in Peru. Since the early 2000s, she’s been looking at the role of women’s organizations in post-conflict reconciliation. Her current project, “Memory on the Landscape,” explores how Peruvians honor those who have died. 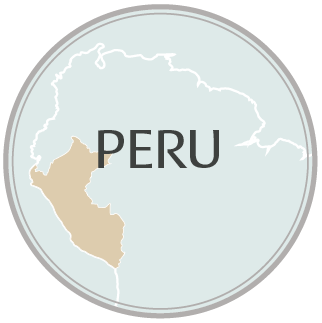 Tourism today: Peru has gone through a soul-searching process. Its economy is doing well, at least at the national scale, and the government has been promoting tourism. So it’s a terrific place to visit and very safe. Must see: the Place of Memory, Tolerance, and Social Inclusion. This museum commemorates the brutal internal conflict that rocked Peru from 1980 to 2000. It’s built into a cliff that overlooks the Pacific Ocean, so it’s a dramatic setting, and the museum is stark in its design. There’s a terrace where people are welcome to gaze out on the ocean. Bike Barranco. It’s fun to do a bike tour of Barranco, an artistic, bohemian district along the Pacific coast. Good eats: At Astrid y Gastón [#18, World’s 50 Best Restaurants 2014], you can have many different experiences, from simple tapas and a drink, to spending three hours on a culinary journey throughout Peru, with food that is indigenous to the various regions prepared in a haute cuisine manner. Try guinea pig. The national dish is cuy picante [spicy guinea pig], but you can have the meat grilled, in a stew, or sliced very thin, like prosciutto. Quinoa originated in Peru, and there are certain varieties that can only be cultivated there because of the ecology. The potato is indigenous to Peru; there are all sorts of dishes. My favorite is papa huacaína (the way it’s prepared in the city of Huancayo), with a spicy, creamy sauce. Pisco (brandy) sour, the national drink, is made from a grape cultivated in the arid desert region south of Lima. Advice: Have your hotel and restaurants arrange your taxis. If you flag one on the street, you don’t know if it’s licensed or not. Cuzco was the center of the Inca Empire. It is the terminus city for getting to Machu Picchu, which can only be accessed by train and is a mystical experience. It’s possible to travel through the Sacred Valley, which is sprinkled with important Inca and pre-Inca sites. 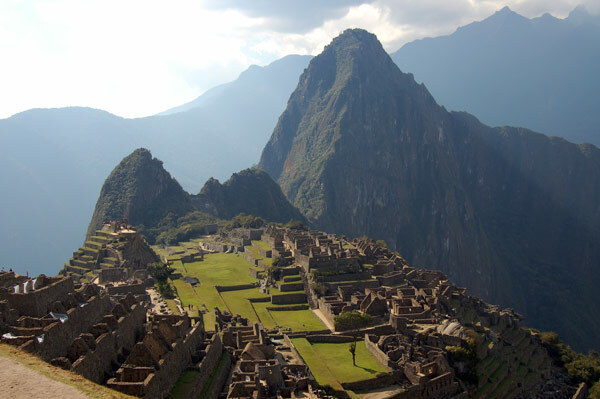 Insider’s tip: Machu Picchu has become crowded. If you stay two nights, you can get to the ruins the afternoon of your first day and visit again early the next morning before the tourist trains arrive. You can stay until it closes and either walk down, jumping from switchback to switchback and then across the river — that’s fun — or take one of the biodiesel minibuses that zip up and down the sharp mountainside. It is also possible to climb up to Huayna Picchu and look back on Machu Picchu and up and down the Urubamba River Valley. 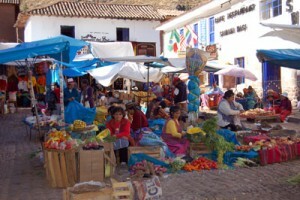 If you give yourself two days, you stay in Aguas Calientes, the access town. There are a lot of different hotels, from nicer tourist places, to hostels, and everything in between. If you have time: Walk the Inca Trail so that you enter Machu Picchu through the Sun Gate. It’s supposed to be how the Inca entered it themselves. Eco-lodges offer a range of eco-experiences. I recommend Madre de Díos; it’s a vast region in Peru’s southern Amazonia. 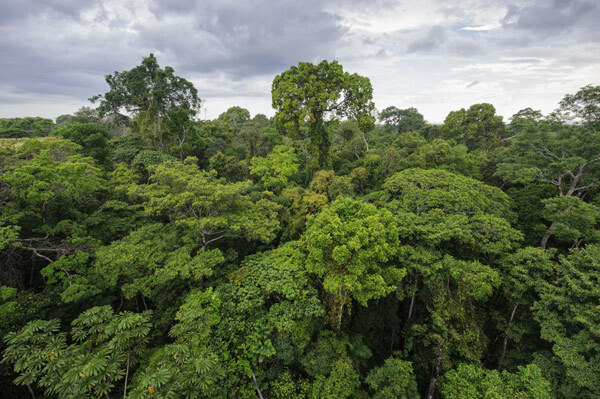 In each ecological zone, the culture is distinct. Be mindful of: flaunting your privilege. Wear a simple watch and basic jewelry. Not so much for security, but to not call attention to yourself. Pack: Inquisitiveness. Sense of humor. Journal. Ibuprofen or hard candies to help with the altitude. Travel time: Don’t go during the holidays. In December and early January, essentially all offices close. The week of July 28, national independence day, most everything closes. The Peruvian winter (our summer) is overcast and damp in Lima, but it’s the ideal time to be in the Andes Mountains because the air is clear. In their summer, Lima is warm and sunny, humid — but it’s the rainy season in the mountains. Buy: Anything made from baby alpaca: sweaters, scarves, gloves, socks, hats. It’s the first shearing (why it’s called “baby”), which is the softest, so luxurious. It’s known as Peruvian cashmere. Read: Deep Rivers, by Jose Maria Arguedas. Referred to as “the novel of all Peruvians,” it’s about a boy who has a foot in both the indigenous and Western cultures. 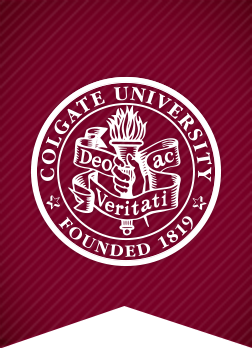 Beyond research that takes professors to places near and far — often with students — Colgate’s faculty-led study-abroad programs have been immersing students in new cultures, perspectives, and experiences off campus since the 1930s. Check out student chronicle of off-campus study on Instagram.